I simply cannot believe I waited so long to post some of our favorite images from Brooke and Matthew’s engagement session. There’s so much goodness that I’m excited to share with the world. Will and I met up with Brooke and Matthew back in mid-April on a warm, windy day as a storm front was moving through. I can’t help but mention that we were so impressed at how calm and relaxed Brooke and Matthew were with the uncertain forecast that the day held. Later that evening, tornadoes moved through their area. Not once did either of them complain about the unfortunate luck of having to watch the weather so closely and battling 17mph winds. They arrived all smiles at their family properties and were incredibly photogenic as we spent the afternoon exploring cow pastures, barns, fields, and ponds. 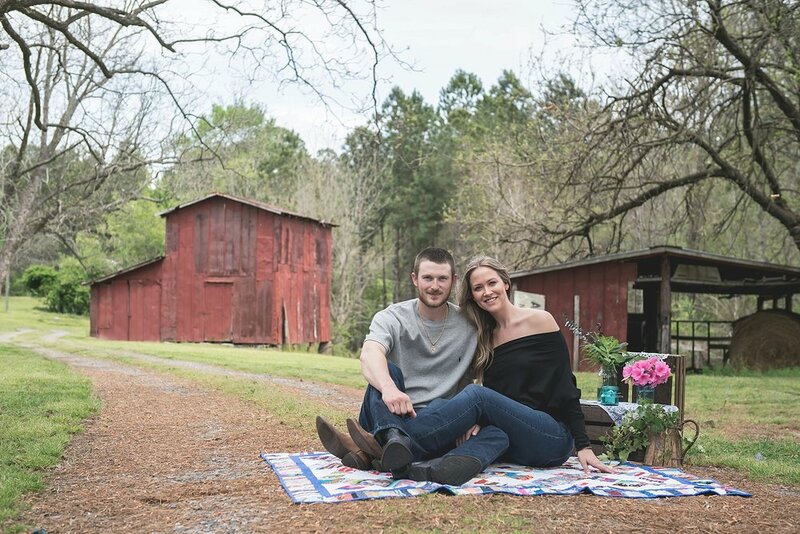 We are beyond excited for their December wedding! 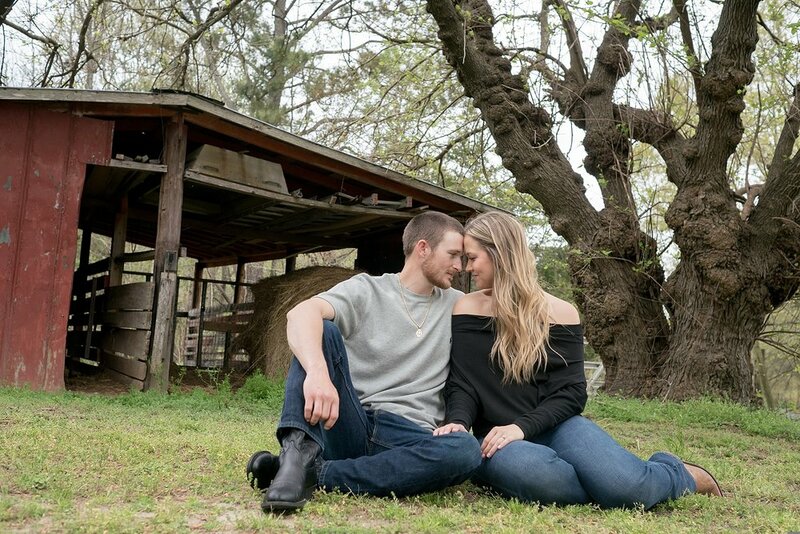 In the meantime we hope you’ll enjoy some of our favorite shots from their Wendell, NC engagement session!